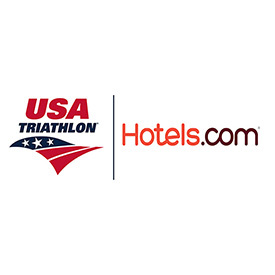 COLORADO SPRINGS, Colo. — USA Triathlon today announced that it has launched hotels.usatriathlon.org, a new booking tool powered by Hotels.com, to provide USA Triathlon members with low rates on hundreds of hotels using one centralized platform. The Hotels.com partnership will provide USA Triathlon members, their family and friends with access to discounted rates at major hotel properties such as Marriott, Hilton and Hyatt, including internationally. Booking through the hotels.usatriathlon.org platform supports USA Triathlon directly, enabling members to give back to the sport at no additional cost when making their travel plans. In addition to Hotels.com, USA Triathlon will continue to work with Game Time Travel to reserve hotel room blocks for its four owned National Championships: Collegiate Club & High School, Duathlon, Youth & Junior and Age Group (sprint and Olympic-distance). Information about these room blocks can be found on each specific event page at usatriathlon.org/nationalchampionships. For more information and to book a hotel today, visit hotels.usatriathlon.org.